Exam Preparation WHAT IS THE RIGHT TIME TO START PREPARING FOR CAT 2018? WHAT IS THE RIGHT TIME TO START PREPARING FOR CAT 2018? CAT is a very popular exam for students aspiring for a management career. Most of you must desire to seek admission in top B-schools in India. It is just the destination but not the path. Make the best itinerary for you to reach the destination smartly and moreover uniquely. Every year, around 2 lakh students appear for Common Aptitude Test. The common question haunts all the students is that What Is The Right Time To Start Preparing For CAT? 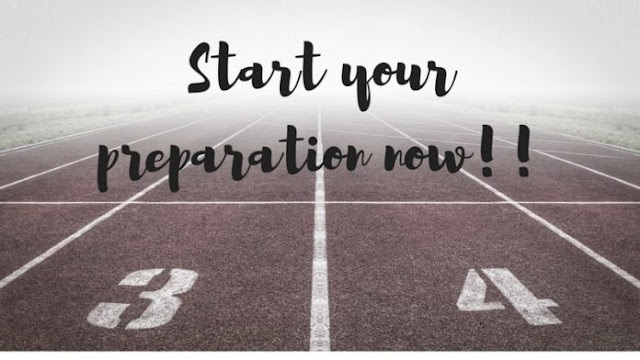 The Cat 2018 will come soon and you need a plan to start your preparation. The most important factor before start preparing for CAT is “Are you Ready“? The moment you decides what you want in your career or which b-schools you are targeting, you have already prepared yourself mentally. For the rest, there are many factors you should consider before starting your preparation. First, get all the required knowledge of the exams like CAT, XAT, IIFT, NMAT etc. Then decide what exams you are targeting to attempt. With this process, you must have decided the colleges you are targeting as well. Second, test yourself what is the level of your aptitude. Do you need to clear the concepts first or you can just practice the mocks. This testing is very much required before starting your preparation. For this, what you can do is take a free mock test online. Give your best attempt in this and then analyze your performance. You will get a rough rough idea of your language command and mathematical aptitude. For say, if you have scored less than 60%, then you need to revise all the concepts first. Take 10+2 books and just go through the formulas. So we can say that you need at least 10-12 months for your preparation. If you score between 60%-80% then you can just prepare yourself by giving regular mock tests. Five to six months roughly will be enough for preparation. In the next case, if you scored more than 80%, then it shows you are clear with your concepts, just enroll yourself in good mock series. Three to four months will be good enough. It all depends on your concepts, students who have prepared only in one month have also achieved 99+ Percentile and also the student who has given his/her one year in the preparation. Remember vice-versa case also happens, not just hard work it is the smart work that matters the most. After that preparation depends on what you are currently doing right now. You are a student or working MBA aspirant. For the Pre-final year students, they can start preparing in the third year of engineering or in the second year of graduation. You will have ample time to prepare, the only thing you will need is the constant motivation and practice. Since CAT 2018 is coming near, you can give a shot to it this year. If you are not confident then you can give an attempt this year to know how exam actually looks like. For the Final year students, you can sit for the exam this year, but you have to prepare extensively for the short time period left. Devote at least 25-30 hour a week, enroll yourself in a good mock test series. With your hard work and the smart plan, you can definitely get good percentile in CAT. For the Working MBA aspirants, it is very important to maintain a balance between your work and studies. Well, this is automatically preparing you for the upcoming hectic life of an MBA student. Give 2-3 hours daily and two mocks in the weekend. Like this, you can give around 5-6 months for your preparation. Good Luck with your CAT 2018 preparation! !